The Japanese electronics giant has decided to sell its PC unit after incurring regular losses. 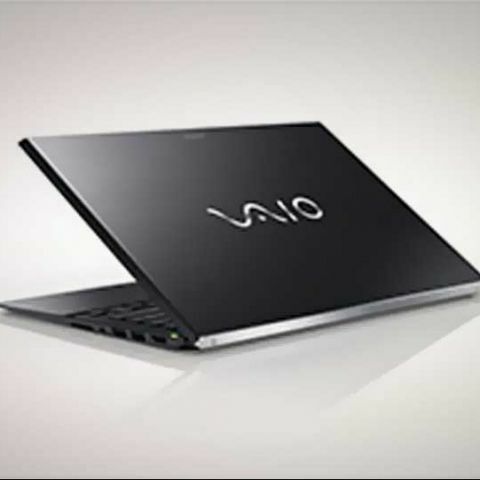 VAIO customers will continue to receive customer care and support from Sony. Sony has confirmed today that it would sell its VAIO PC lineup to a Japanese investment fund, Japan Industrial Partners (JIP). Rumors had been flowing around last week speculating that Sony would make such a move after incurring losses on regular bases. Sony will stop “planning, design and manufacturing PC products" and JIP will set up a new company which will handle all the PC related business once the deal is complete. Sony expects the move will help the company concentrate more on its mobile business as smartphones and tablets gain popularity over PCs and laptops. The Nikkei business daily has reported that Sony will likely sell the Vaio PC unit for up to 50 billion yen ($493 million) but would still retain a small stake in the new company. Sony and JIP expect the deal to be completed by July and the new company, set up by JIP, would start by concentrating on selling VAIO PCs and laptops in Japan. The Japanese electronics giant admits that there have been “drastic changes in the global PC industry” and cites it as the main reason for selling off its PC unit. It also reported losses in camera and TV business in the second quarter of last year. The company's PC market share has also been declining. It went from 2.5% in 2010 to 1.9% last year. Both Sony and JIP are looking forward to reaching a definitive agreement by the end of March 2014. People who already own VAIO PCs and laptops do not need to worry as Sony has said that “even after Sony withdraws from the PC market, Sony customers will continue to receive aftercare customer services. Where to Sell Operating System? When will be Sony\'s Android TV available in market?